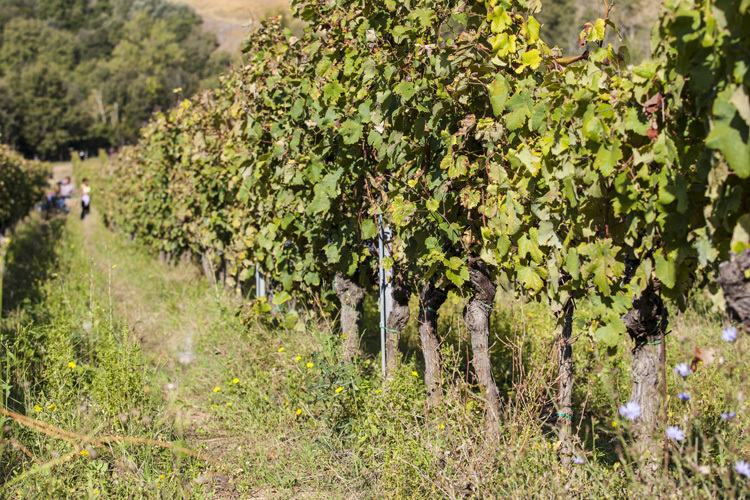 a reddish colour, this allows the cultivation of the vine, thanks to the water retention which enables the vines to survive the dry summers. 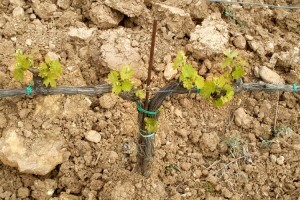 Furthermore as the soils are not so deep they reduce the expansion of the roots and thus any excessive vigor of the vines. However, the main characteristic of these soils is the extreme difference that occurs in short spaces of several hundred meters. 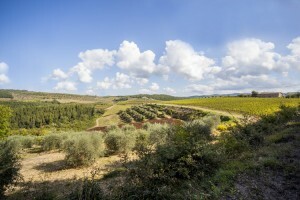 These vineyards are facing east/south-east where the dominant components are: the typical marl-like soil (a combination of limestone and clay) of Chianti called Galestro and calcareous formations. The layers follow the direction of the hill and the soils are ochre in colour, only lightly eroded and with extraordinary balance. On these soils the structure of the flysc shows the layers of argillite scistose of a red to purple colour alternate with deposits of clay and limestone. These soils tend to erode more easily. They are better preserved soils because they are nearly flat and located on the top of the hill. On these soils it is possible to see the ancient process of formation dating back to very different climatic eras, where the attack of the iron and aluminum on the calcareous layers, has left deeper and stronger soils. The characteristics and the position of this terrain have also protected them from erosion so that they are more generous. 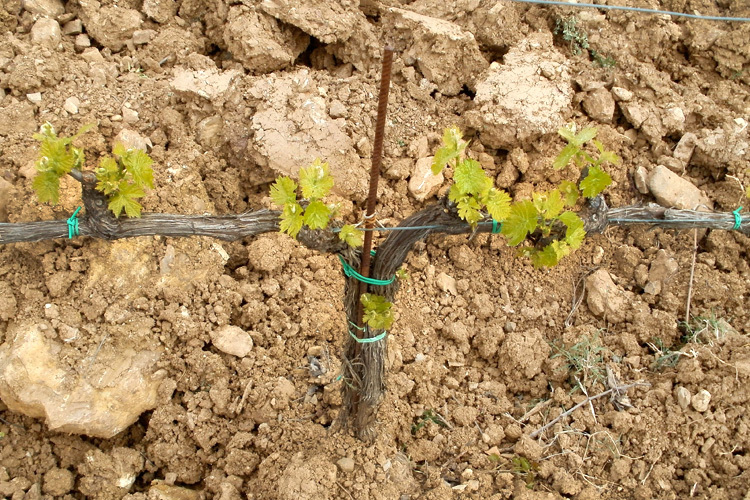 The differences in the soils obviously influence the character of the wines. From the vineyards in the Terrine, Torre a destra and Torre a sinistra we obtain grapes which produces wines that are more structured and complex; Ciliegiolo, Bossolo and Barbiano gives weaker, but more elegant wines and Querciole and Poggio, because they are so deep, are ideal for the production of young wines with less concentration in the grapes. 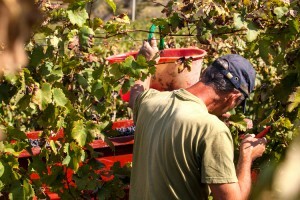 By particular company choice the only grape varieties planted and used are Sangiovese and Canaiolo Nero. They are the results of internal selections started many generations ago. 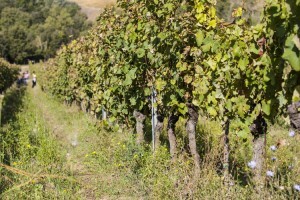 The real strength of this company is the very old vineyards with medium to high density which survived the terrible years of restructuring of vineyards in Tuscany in the sixties and seventies. 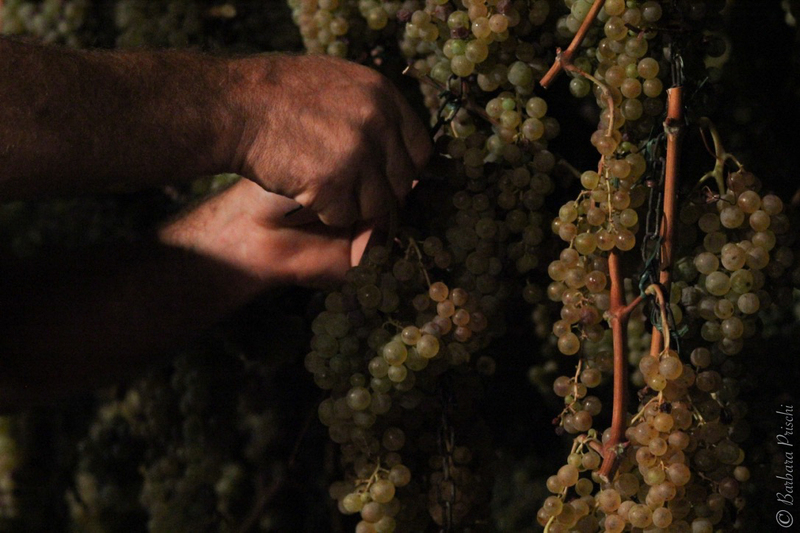 Therefore all the genetic material in the winery is strictly from autochthon clones which completely reflect the characters of the soils. 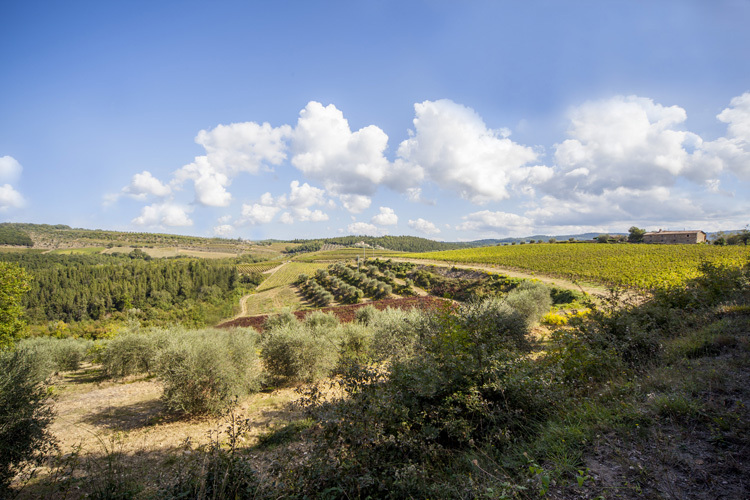 At the moment half of the 23 hectares planted has a density of 5,000 plants/hectare and in the future we anticipate a density of 6,000 to 8,000 plants/ hectare. We strongly believe that using exclusively Sangio- vese and Canaiolo Nero is not only our tradition but also the only answer to the increasing popularity of the New World wines. We think in fact that making good Merlot or Cabernet wines is possible wherever you are in the world, however, only the Chianti Classico region has the potentiality to produce outstanding Sangiovese and Canaiolo.